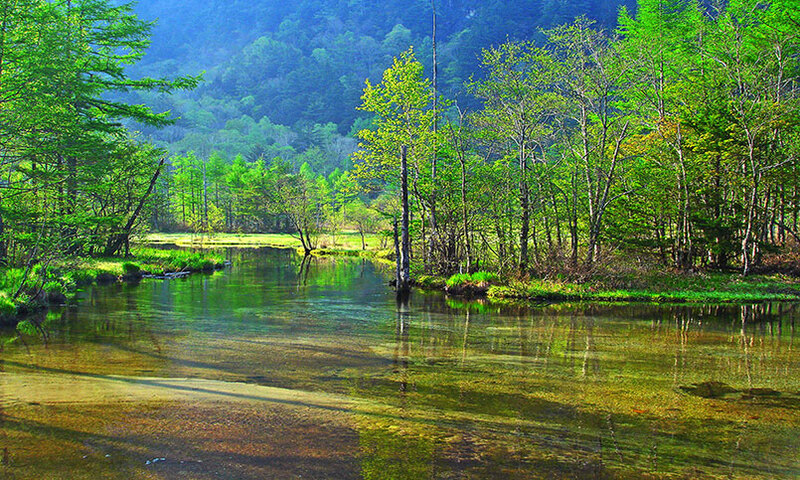 Tashiro Pond, one of Kamikochi’s most scenic spots, is a small pond surrounded by marshland. 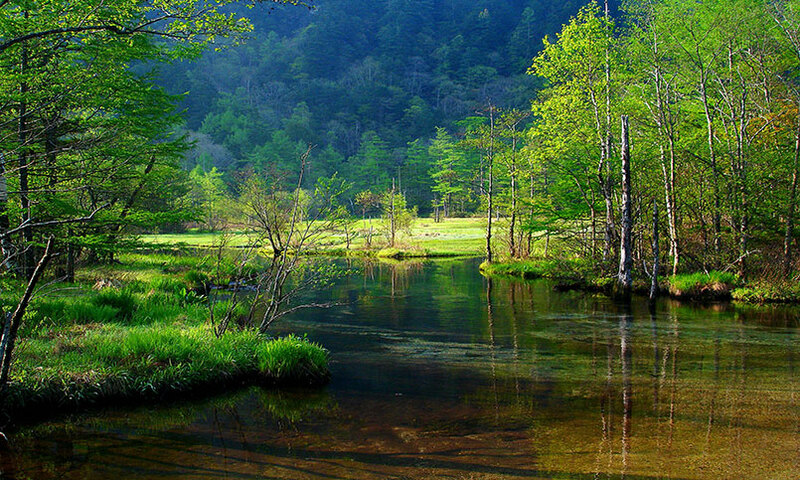 It is located along the hiking trail that connects the Kappa Bridge with Taisho Pond. 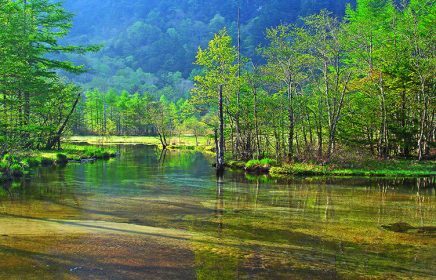 When passing Taisho Pond and following the trail toward Kappa Bridge, after a while, Tashiro Pond suddenly appears before you. 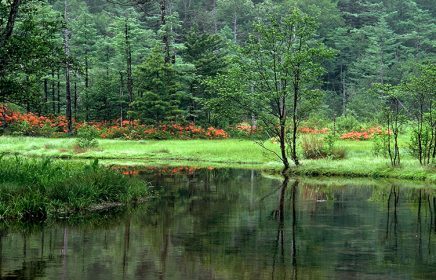 Clear water reflects the sky and towering mountains and the edge of the pond in wreathed with seasonal flowers during the warm months. Breathtaking Japanese Azalea (Rhododendron japonicum) and Sagisuge (Eriophorum gracile) flowers can be seen in the summer, and they turn white when frost covers them in the late autumn. Tashiro Pond never freezes over completely because of the spring water underneath. 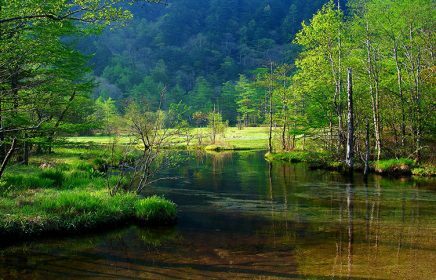 However, the area of pond has been reduced by erosion from Mt. Kasumizawadake over the years. In some areas, the pond has turned into a marsh through the accumulation of dead leaves and other residue. 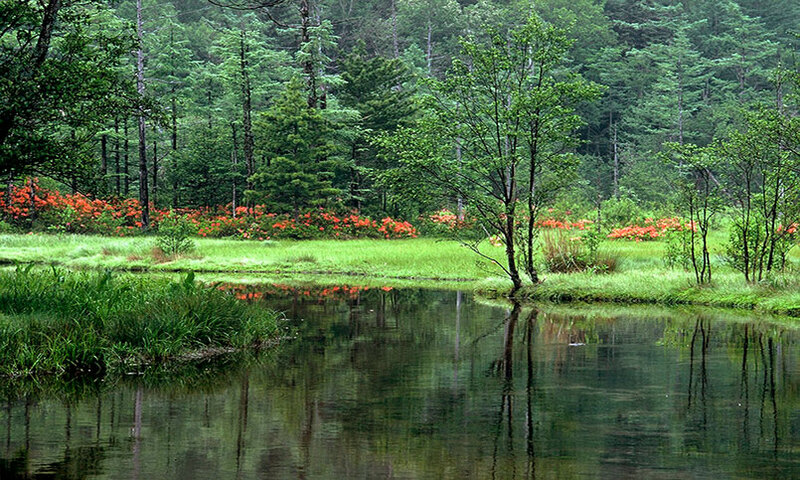 Check out some beautiful photos of Tashiro Pond on Instagram.